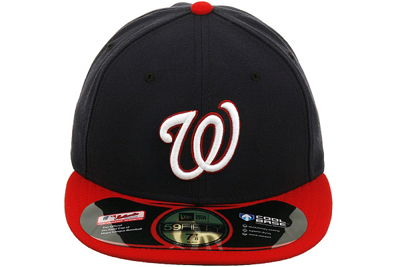 Introducing New Era's Authentic Collection hat for the Washington Nationals. This is the official alternate hat worn by the Major League Baseball team and was designed with the player in mind. The new performance fabric has revolutionary wicking ability, superior drying, and is shrink resistant. It is a New Era 59Fifty style fitted cap. You're the definition of a die-hard Washington Nationals fan which means you're always wearing something showing off your support. This Washington Nationals Authentic Collection On-Field 59FIFTY fitted hat from New Era will only add to your amazing showing of loyalty. This cap features embroidered Washington Nationals graphics on the crown, so when people see you wearing it, they'll know your enthusiasm for the team will never diminish.